People cough in order to clear the lung airways of fluids, mucus, or other material, and a cough is often the most neglected symptom that many of us suffer from. A cough may be caused by an allergen, a cold, pollution, or tobacco smoke, and is regarded as a normal response by the body to clear the lungs. However, coughs don't always come from the lungs. Postnasal drip and acid reflux are also common causes of acute and chronic coughing that may be exacerbated by the food you eat. Phlegm is a thick, sticky mucus that flows down the back of your throat from an allergy or a cold. If coughing is the result of phlegm in your throat, avoiding foods that produce mucus can help relieve the problem. 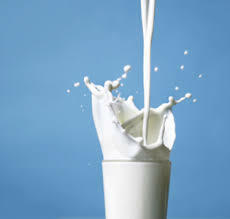 A protein from the milk during digestion stimulates excess mucus production in your intestines.Milk and other dairy foods could have a corresponding effect on the production of mucus in the respiratory tract, including the throat and lungs, especially when inflammation or infection is already present.If you are coughing, try avoiding milk to determine if that helps. Some people suffer from a condition known as asthma that affects the lungs. The symptoms include coughing, wheezing, and shortness of breath. Known irritants, such as shellfish, milk, fish, nuts, yeast, and eggs, can cause a cough with those who have allergies associated with them. However, food to avoid during cough may also include carbonated drinks, prepared salads, and processed meats that trigger asthma attacks because of the chemicals included in those products. For those suffering from asthma, particular food allergens can trigger or make asthma that includes coughing symptoms worse. If your cough is the result of a cold or flu, your health care provider may advise you to stay hydrated. Drinking plenty of fluids is important for recovery; however, caffeine is a diuretic that stimulates increased urination causing your body to dehydrate. Dehydration can also lead to a dry cough that when in contact with the acid in caffeine could lead to a more painful raspy cough. 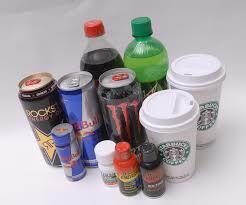 Caffeine is found in coffee, some cola or sports drinks, tea, and cocoa. Your immune system fights infections and illnesses that lead to coughs and other symptoms, and poor nutrition inhibits your immune system, thereby suppressing its protective functions. 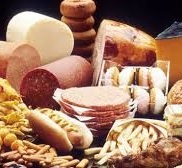 Don’t compromise your immune system with refined and processed food products. Processed food to avoid during cough includes packaged snacks and sugary desserts, baked goods, white pasta, white bread, and chips. Instead, choose foods that are nutrient dense and whole foods in order to boost your immune system. 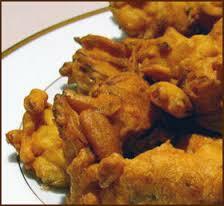 The process of frying food releases an airborne irritant called acrolein. Reactions in the lungs can trigger coughing when a person is exposed to particular irritants in the air. Acrolein is known for triggering the cough reflex in those who are exposed to it, and can further aggravate a person who is already suffering from coughing spells. Try to avoid cooking fried foods when you have a cough to see if it helps. Scientists and doctors have revealed how environmental irritants such as tobacco smoke and the air pollution it causes can make people cough. Cigarettes are one of the leading causes of bronchitis in smokers and the second-hand smoke from tobacco has been known to cause medical problems in those around them. Not only does it irritate the lining of the throat, it can also delay recovery from illness, and increases your risk of cancer. 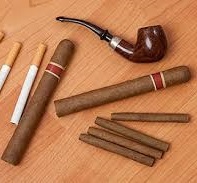 If you smoke, consider quitting, or at least make sure that those around you are not subject to your second-hand smoke. 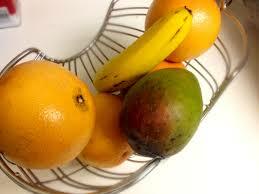 Food to avoid during cough also includes mango, banana and citrus fruits. Fruits with citric acid may cause acid reflux, aggravating your throat and triggering coughs, and the slimy nature of banana that has been chewed tends to exacerbate this condition. Mangoes also have a slimy texture, and those with asthma should avoid them altogether in case they have a hypersensitivity to them. Choose fruits that have a lot of water content, such as watermelon, pineapple, peaches and pears in limited quantities. Soup is good comfort food when you’re ill. The soups’ warm liquid has an anti-inflammatory effect that soothes throat irritation and limits dry coughs. Micronutrients found in soup ingredients can strengthen the immune response and speed up recovery. The chemical responsible for much of the heat associated with spicy food is capsaicin commonly found in chili peppers. It acts as a natural expectorant for thinning mucus, and the intake of natural capsaicin (chilli) desensitizes the cough reflex and improves coughing. Vitamin C is an essential nutrient for the body's immune system. Although the body doesn’t store vitamin C, increasing your intake may allow you a speedy recovery from a cough due to a cold or the flu. Foods that are high in vitamin C include broccoli, kiwi, bell peppers, and tomatoes.